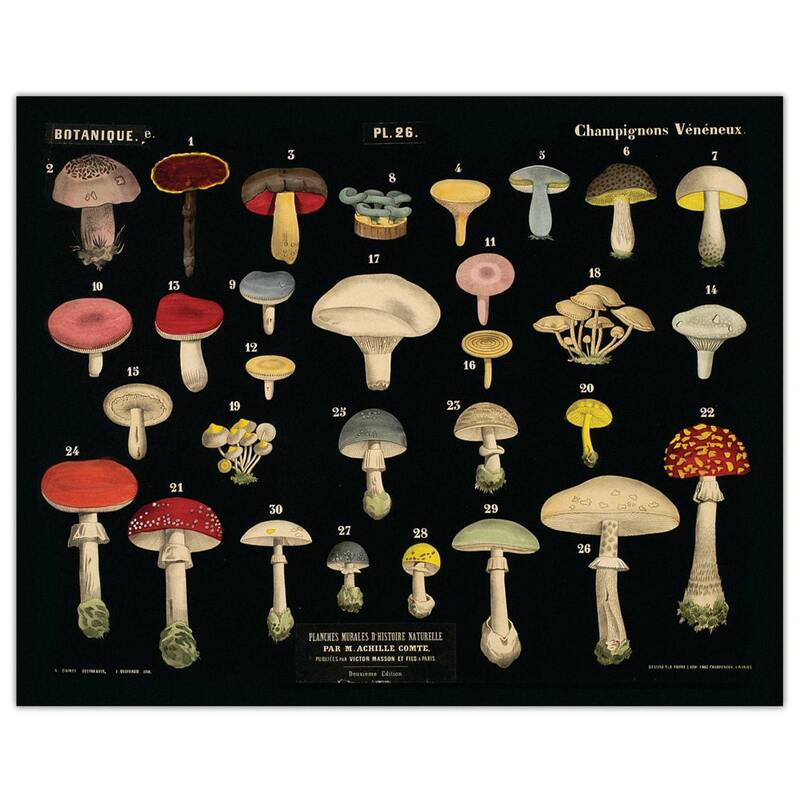 Vintage Mushroom chart Reproduction: This print comes from a salvaged educational science wall chart. 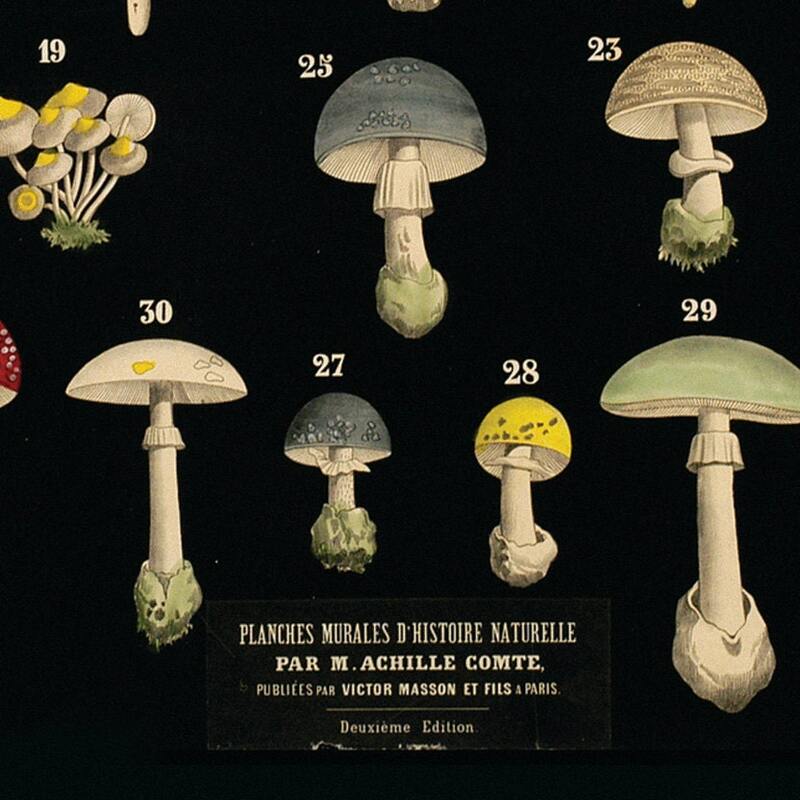 The original art is from Planches Murales d'Histoire Naturelle, a collection of color lithographs for Achille Comte (1869). The pages have been scanned in, cropped, and retouched to ensure the highest quality reproduction possible.